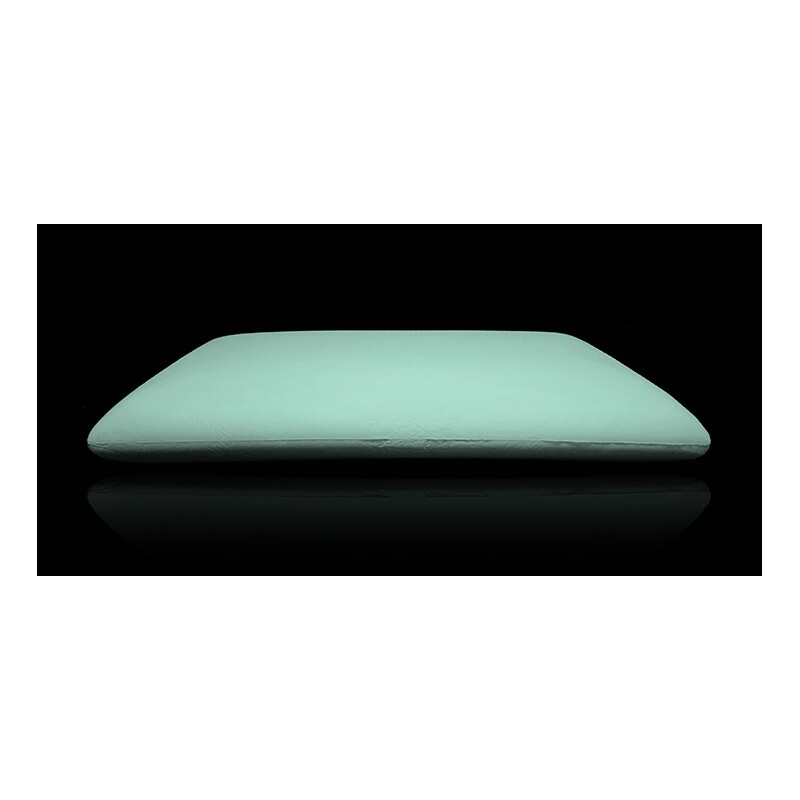 Memory pillow; viscoelastic drilled HD Foam. Bio - Aloe material enriched with Aloe extract, covered with 3D Mesh lining; external cover in CoolMax® fabric. Allows a healthy rest in contact with natural elements able to lower the degree of stress. Golf Hard is designed to ensure the recovery of the golfer who prefers to sleep on side or supine (belly up). In the discipline of golf the incorrect coordination of gesture (swing) and the wrong choice of the shaft when added to intense and repetitive movements, can lead to an overuse of cervical / back-zip (C7 D1) which may cause pathologies of cervical spine. The pillow Golf Hard enables the cervical area to drain and to bring an important functional decongestion. Position Golf Hard is suitable for sports resting on side or belly up (supine). Material inside HD Foam Bio-Aloe (HD Foam+Biogreen). Viscoelastic foam enriched with Aloe. Gioco a golf ormai da molti anni e, inevitabilmente, come per tutti gli sport asimmetrici con l’avanzare del tempo ho iniziato ad accusare problemi all'articolazione della spalla e alla base della cervicale, con dolori molto forti sul lato destro. Questo a fatto sì che iniziassi anche a dormire, anche male, sempre sul lato opposto. Ho risolto brillantemente la questione grazie all'acquisto di questo cuscino che consiglio a tutti, ho ritrovato il piacere di dormire e ho ricominciato anche a giocare bene!